Scientists have been seeking one theory that explains everything. 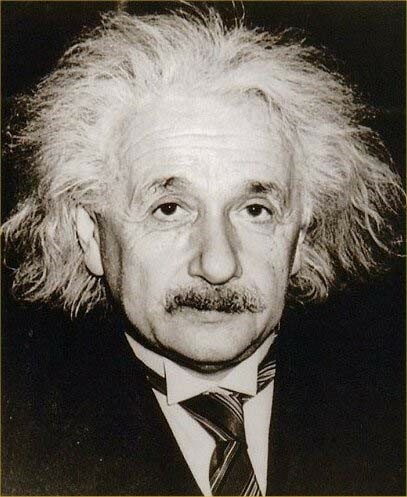 In Physics, from Albert Einstein , we see great strides for a Unified Field Theory. It must be a theory that explains all observed phenomenon. 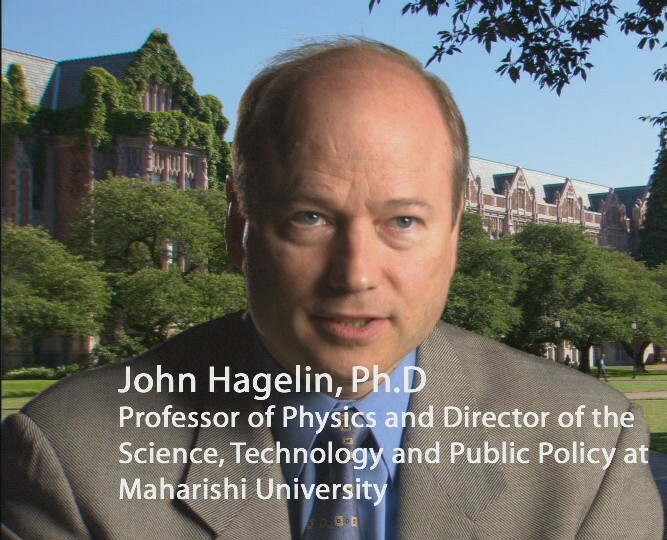 For example, John Hagelin PhD (Harvard) integrates the seemingly opposite qualities of consciousness and matter with his SuperSymmetric SU-5 theory. A Unified Field Theory would explain electromagnetism, strong and weak nuclear forces, and gravity as different aspects of one underlying force. In ancient 6th century BC Greece there were two seemingly opposite truths in nature. 1. The Earth looks to be flat, and extends out far in all directions. 2. It is a lot easier to compute the motion of the stars if the Earth is round. 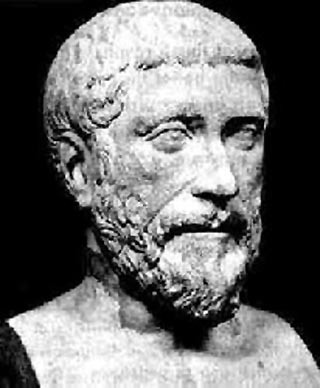 Pythagoras was able to present a theory that accommodated both views simultaneously. He said the Earth is so large that the horizon appeared to be a flat surface. But it is actually round. So both views are correct to some extent. It is flat locally, and round globally. Some people artificially limited the available options to only two possibilities, that the Earth is either flat, or it is round. Thus, Pythagoras was probably roundly ridiculed. Columbus and Magellan proved he was correct. These views depended on one's perspective. From a broad, transcendental view, one can see that both views are true from different perspectives. Knowledge of nature depends on one's perspective and level of consciousness. As with many great truths, two seemingly opposite statements are often true. For example, the earth is very huge. But on the other hand, it is also just a speck in the Milky Way Galaxy. It is both huge and small at the same time. Today is always yesterday or tomorrow, in some time zone in the world. It depends on our perspective. Likewise, we need such a unifying view in the Truth Movement, that harmonizes and integrates the seemingly opposite views. Why is a Unified Theory of 9/11 Important? The Official Conspiracy Theory was obviously carefully planned for years, to be as believable as possible. It worked. It has proven to be plausible enough for billions of people to "close the book" and the case, and to justify at least two wars. But the official explanation is not the only explanation of the evidence. If we know that the Official Conspiracy Theory has holes in it, isn't that enough for a New Investigation? Should we speculate on how it was done? Will people who see some holes start demanding a new investigation? People will not leave one boat, even if damaged and sinking, and end up "in the water", unless an better boat is provided. We have to provide a better alternative explanation. 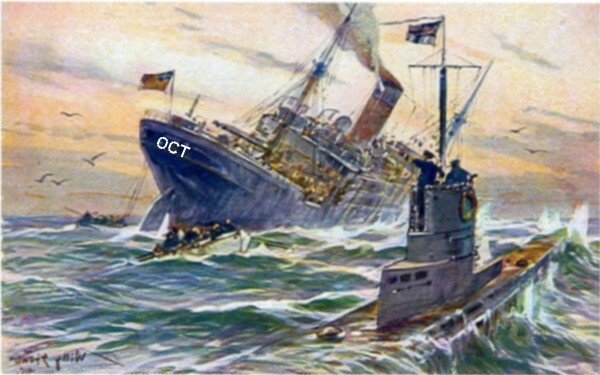 people may feel confident leaving the sinking ship of the OCT (symbolized by the sinking ship). There are many major questions about the Official Conspiracy Theory (OCT) of September 11, 2001. Here are the top four. 1) The first question many people asked was: "Who would kill everyone including themselves"? The 19 or so 9/11 hijackers did not announce who they were, what their cause was, or why they were doing it. It does not make sense with human instinct and human nature, for so many men to kill themselves at once, for no apparent benefit or announced reason. For all they knew, some other group could have gotten the "credit". Why didn't they leave a suicide note, or any demands whatsoever? The hijackers acted as if they planned to live, and be rewarded, after the hijacking. They had no history of mental illness like most suicide bombers have who acted alone. It takes intelligence to be a pilot. If even one got "cold feet", or missed the target building, he could ruin the whole mission. Hijacker Muhammed Atta announced: "We are returning to the airport." Knowing how America reacted to Pearl Harbor, why would terrorists wake a sleeping giant? This issue has been neglected in most theories hitherto. 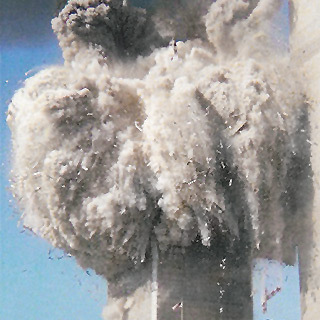 2) The World Trade Center towers came down too fast, and too completely. WTC 7 came down, even though it was not hit by a plane. This question has been explored by about 1500 Architects and Engineers for 9/11 Truth. They propose that explosives were planted in the World Trade Towers during the 6 month "elevator modernization" project going up until 9/11/2001. Workers had full access to the elevator shafts by day, and above the ceiling panels during the night. 3) Why is there a smaller than expected outer hole (E Ring), and larger than expected inner hole (C Ring)? The smaller than expected hole at the Pentagon for the fuselage, with fewer wing and engine marks than expected, has been a quandary. It has lead some 9/11 researchers to hypothesize a missile, small plane, folded wings, or a fly over. Military veterans have questioned this as well as scientists. U.S. Army Major General Albert Stubblebine, an expert at analyzing photos, said "the plane does not fit in that hole. So what did hit the Pentagon?" 4) Pilots for 9/11 Truth say that the planes were not designed to travel at such speeds, about 500 mph, and that even trained pilots would find it difficult to navigate a passenger plane to hit a building with such precision. When they land, they are going about 120 mph. The terrorists were not very experienced pilots. How do the various theories compare with each other? The question has divided the Truth Movement in to opposing sides, one insisting on a fly over, and the other side insisting a plane hit the Pentagon on 9/11. Researchers, and their witnesses, have been criticized from each side. The question has divided the Truth Movement into camps with different theories. Some say it was a plane; some say missile. Some say it was Flight 77; some say it switched with a drone. Some say there were people on board; some say they disembarked. Some say the hole in the Pentagon was too small; some say it was about right. Some say a plane hit the light poles; some say they were staged. Some propose a 45° approach; some say near 90°. Some say people saw a plane hit the Pentagon; some say they were deceived - it flew over. The various sides criticized each other, and discounted their respective witnesses. A new theory is needed to corroborate all the evidence and all the witness testimonies. It is also a theory acknowledges the human self preservation instinct. A theory is only as good as how it explains what was seen in real life. We shall now compare these 3 theories to see how well they explain the observed phenomena and witness testimonies. Hologram A hologram of a plane went in to the Pentagon Technology is not known to exist. No Plane No plane was there. It was all done by explosives Many people saw a plane. Drone Substitution The planes were drones, substituted when flights went off radar, as hypothesized by Dr. David Griscom We need to find witnesses to drone planes taking off while the real ones landed. The 9/11 Murder Mystery. Who Done It? 9/11 is the World's Greatest Murder Mystery of all time. In the novels by Sir Arthur Conan Doyle, Sherlock Holmes was an independent consulting investigator. Scotland Yard's Inspector Lastrade (left) often proposed a solution based on the evidence apparent on the surface level. His theory was what would be sent to the prosecutors and published in the London Times. 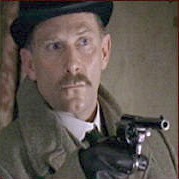 But Sherlock Holmes would find subtle evidence that was fatal to the Official Theory. Sherlock Holmes applied these principles. The 9/11 Commission did not examine all the evidence. The 9/11 Commission had a pre-determined conclusion. I never make exceptions. An exception disproves the rule If no building has come down due to fire before or since, it did not happen. Steel buildings never came down by fire alone before. but sill believe the OCT. The little things are infinitely the most important The discovery of microscopic nano-thermitic particles is key to 9/11. The angle of approach of the plane to the Pentagon is critical. You know my method. It is founded upon the observation of trifles. We must investigate everything, even security camera photos of the Pentagon and airports. There is nothing more deceptive than an obvious fact. The OCT is "obvious" to the majority of the American public. People assume the main stream media is not controlled. When you have eliminated the impossible, whatever remains, however improbable, must be the truth It may seem mad to accuse a conspiracy of the International Military Industrial Intelligence Media Complex. Explosives Filled Plane & Pentagon Theory referred to by the acronym RCOCAPOV&FMSIPCEHBCE. This means that planes were taken over by Remote Control with Pilot Lock Out of navigation and communications. Pre Planted Explosives (PPE), with Staging Light Poles (SLP) including the taxi window, with a plane passing North Of Citgo, and the Plane Impacted the Pentagon. It proposes the plane indeed had passengers, who were suffocated by the time the plane hit the buildings. Either way, this theory accommodates the largest number of witness statements, and the physical evidence. Both views, the North Of Citgo and the Plane Impacting Pentagon are true. Not one or the other. The plane did about 1/3 of the damage, and explosives did the other 2/3, approximately. 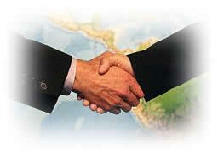 Now we can all shake hands, and work together to get a New Investigation of the events of 9/11. Now we have several better ideas of what happened on 9/11. America is already Invincible to attack by anyone. We don't need such a huge military presence or weapons. We need huge creativity, intelligence, and peace. to keep profitable. To stay in business. So far the biggest projects have been to keep America always at war. even if they have to create enemies when none exist. and fulfill mankind's destiny to explore the universe. With the money spent on war we could have cities on the Moon. in case something happens to the Earth.